erniemcpeck - Adventures in Switzerland: C'MON ENGLAND! With the kick off approaching for the Euro 2012 football championship, I've been coaching Lydia to support her English heritage. Lydia getting behind the boys from England! Fortunately there hasn't been any conflict of interest with her Swiss family, as the Swiss national team won't be involved in the tournament (partly thanks to England beating them in qualification). 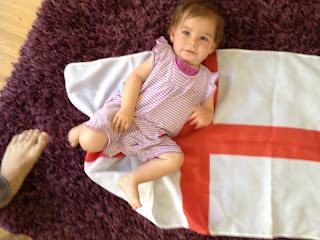 I've therefore been free to drape Lydia in the St. George flag as much as I wanted to! We might have a weakened squad, and I can't really see us beating any of the big teams (Spain, Germany, Italy and Portugal, maybe not even France!) 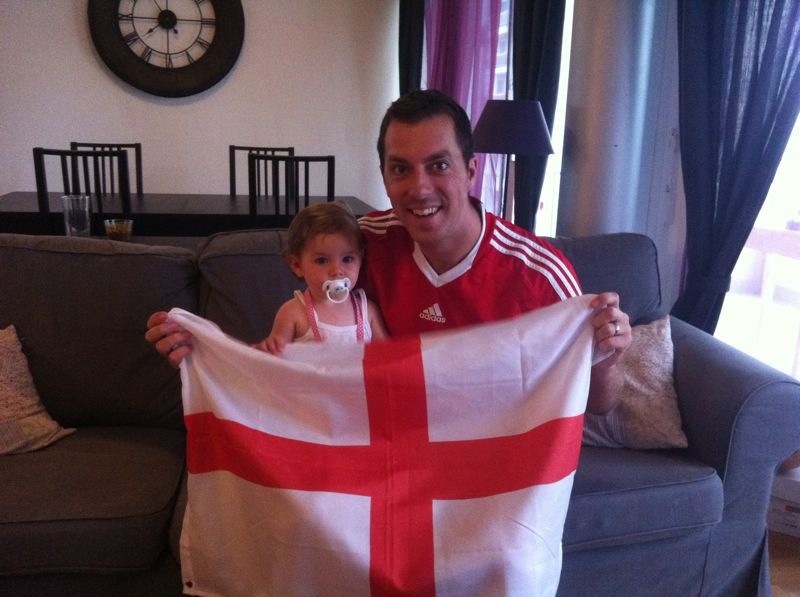 but Lydia and I are ready to give our full support to the English team.